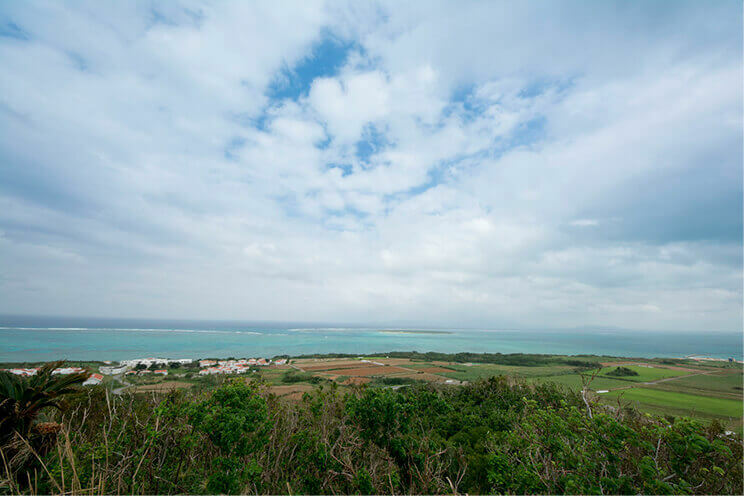 While a popular resort destination, Kohama Island, located approximately 30 minutes by regularly scheduled liner from the Ishigaki Port Outlying Island Terminal, is also a peaceful island that preserves the old-fashioned Okinawa landscape. 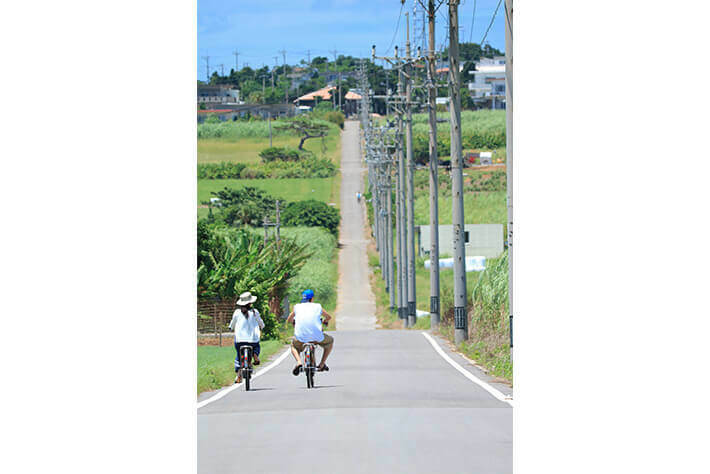 Located almost in the center among the Yaeyama Islands, Kohama Island is where you can enjoy marine sports, such as diving and snorkeling, for starters and explore the Sugar Road, a single path running through a sugarcane field, which has been featured in a TV series, in addition to the village. You can even savor the resort setting on a beach next to a resort hotel. 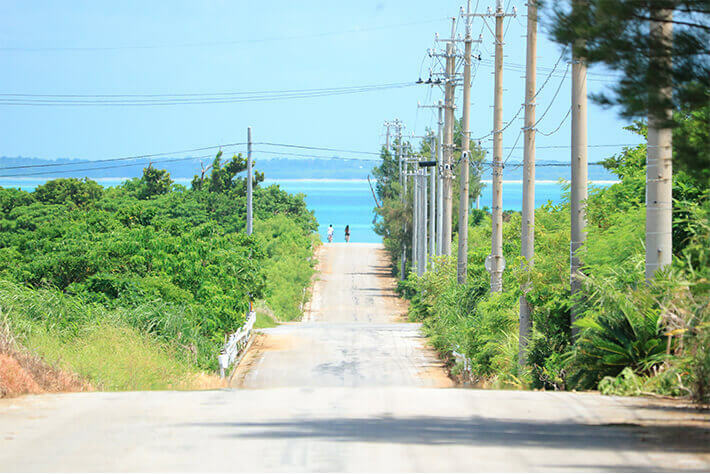 This is the perfect island for those looking to enjoy the island time without any commitments. Mount Ufudaki, at an altitude of 99 meters, is located in the center of the island. 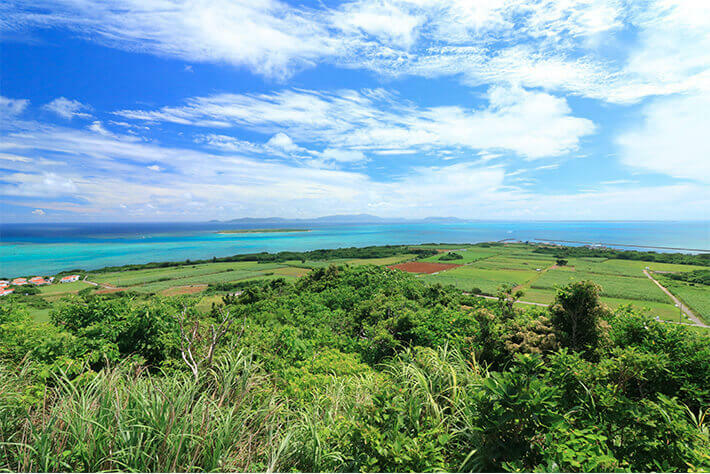 It is the highest point on the island, and you can get a panoramic view of all the Yaeyama Islands, with the exception of Yonaguni Island, from the observation deck at the summit of the mountain. 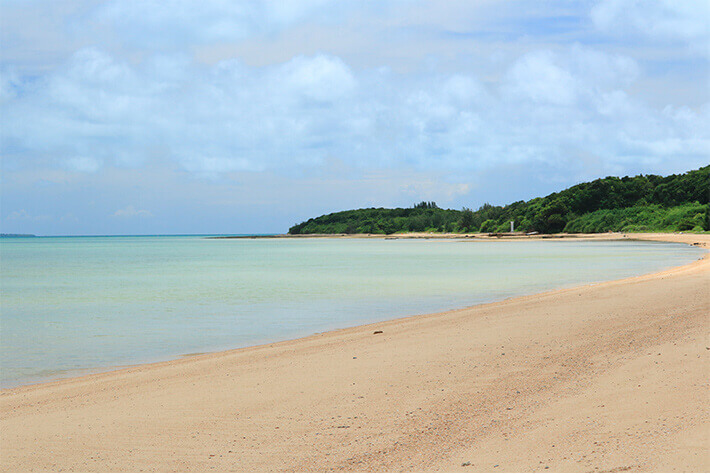 Beyond the green forest of Kohama Island lies the blue sea with its rich gradience of the Yaeyama Islands. The beautiful scenery from the observation deck will fill the hearts of visitors with a sense of boundlessness. 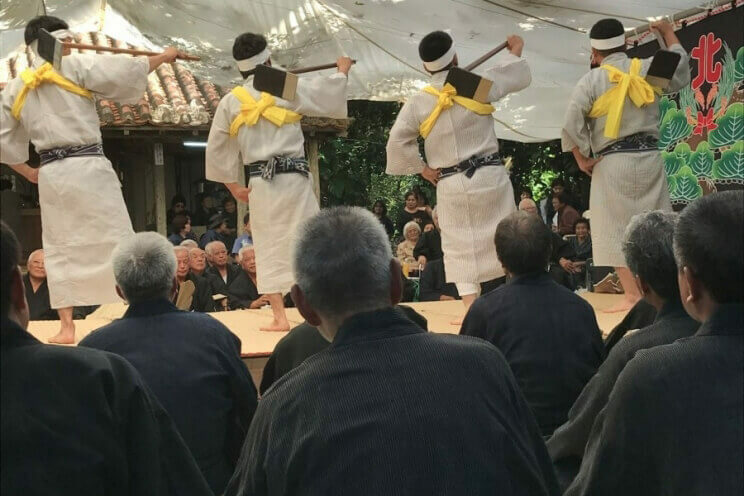 There is a tradition that has been passed down on Kohama Island to wear kimonos dyed with indigo by hand during the local spiritual events, which continues to be practiced by the islanders to this day. From sowing the seeds of Indian indigo (plants such as Indigofera suffruticosa) to be used for dyeing to weaving the indigo-dyed yarn to make kimonos, the entire process is wholeheartedly done by the people of Kohama Island. KBG 84 (Kohama Island Elderly Women’s Choir) is an idol group with an average age of 84, formed by grandmothers living on Kohama Island. You must be at least 80 years old to join, and the average age of the members is 84. The catchphrase of the unit originating from Kohama Island is “the idols closest to heaven.” In 2015, the group made their mainstream debut and have been performing songs and dances on the stages of the island’s events and festivals, recently becoming more and more active both domestically and internationally. 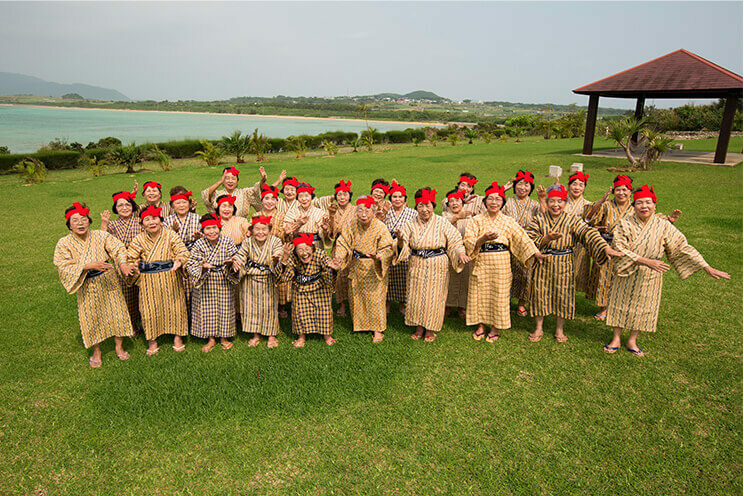 The bright smiles of the grandmothers are amongst the highlights of Kohama Island.